Walter Becker was always been the quiet one in Steely Dan, playing in the background while Donald Fagan took the spotlight. He was also quiet about an ailment that kept him off the stage for the Classic East and West festivals this past summer, choosing to just say he was "recovering from a procedure and hopefully he'll be fine very soon". Walter Becker died early Sunday (September 3) from an undisclosed ailment at the age of 67. 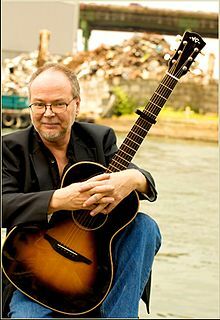 His website simply reads "Walter Becker feb. 20 1950 - sept. 03 2017". Becker was born in Queens and graduated from Stuyvesant High School in Manhattan in 1967. Originally a saxophonist, he later switched to guitar. Walter and Steely Dan partner Donald Fagen first met while attending Bard College but he left school before graduating to move to New York with Fagen to play in a number of bands, including backing Jay & the Americans. In 1971, the duo moved to California, initially to be songwriters for ABC Records but their songs were too intricate for the label's artists, so it was suggested that they start their own group. The label signed the new Steely Dan who released their first single, "Dallas", in 1972. Later that year, they released their debut album, Can't Buy a Thrill, which included two of their biggest hits, "Do It Again" (1972 / #6) and "Reelin' in the Years" (1972 / #11). They followed with Countdown to Ecstasy (1973) and Pretzel Logic (1974) which included "Rikki Don't Lose That Number" (1974 / #4). It was after the release of Countdown to Ecstasy that the band fundamentally changed. Becker and Fagen were not thrilled with the constant touring and they transitioned Steely Dan into a studio-based project. Their next two albums, Katy Lied (1975) and The Royal Scam (1976) did well and contained minor hits like "Black Friday" (1975 / #37) and "Kid Charlemagne" (1976 / #82) but it was their 1977 album, Aja, that became their biggest release, going to number 3 and spawning the classics "Peg" (1977 / #11), "Deacon Blues" (1978 / #19) and "Josie" (1978 / #26). Their final album during the first era of Steely Dan, Gaucho, was also went to the top ten in 1980 but the recording of the set was fraught with problems along with personal problems for Becker. First, his girlfriend at the time died in their apartment from a drug overdose and he was sued for over $15 million. Then, he was hit by a taxi, shattering his right leg. Steely Dan took what would become a decade long hiatus starting in 1981 with Becker moving to Maui and becoming an avocado farmer. He also produced and played on two albums for the group China Crisis. In 1991, the duo reunited with Walter producing Donald's solo Kamakiriad and Fagen reciprocating on Becker's solo debut 11 Tracks of Whack. They also began regularly touring again in both support of their solo efforts and as Steely Dan. Two Against Nature was released in 2000 and not only became their second highest charting set, going to number 6, but also won the Grammy for Album of the Year. A final album, Everything Must Go, came out in 2003. Becker released his second and final solo album, Circus Money, in 2008. He will be Missied greatly. Glad I got to see them once. R.I.P.